Almost everyone loves eating out. After all, it’s one way for families to bond and for friends to catch up. There are lots of restaurants that serve healthy types of food, but sometimes, you and your family or friends just couldn’t agree on where to eat that you end up sacrificing your diet just for their preference. There are things that you can do to make sure that you will still be eating healthy at restaurants. You do not have to sacrifice your fitness and diet when eating out and here, we will discuss the things you can do to make sure you will still be eating healthy in Spring Hill, Kansas restaurants. If you know you will be eating somewhere there will be no good menu or food preferences for you, then go ahead and fill your tummy at home. Prepare what you usually eat and consume an entire meal at home so you would not have to worry about what to order at the restaurant. You still can order something at the restaurant, such as salads and appetizers. This way, you would not have to sacrifice your diet for the sake of eating out. Flavored drinks, whether they are fruit juices, spirits, or sparkling water, contain hundreds of grams of sugar. If you want something to drink at a restaurant, then opt for water instead. Not only will your body stay hydrated when doing so, but you also get to save a couple of bucks by skipping the juices and just drinking the house water! Moreover, drinking water will make you feel fuller, so you wouldn’t binge-eat when eating at a restaurant. So really, drinking water is a win-win! Chew your food properly and pace yourself when eating at a restaurant. It’s easy to overeat when you are totally feeling hungry before ordering a meal, so make sure to keep the pacing in mind when eating. Also, eating slowly will make you feel full more quickly than usual. Order more appetizers instead of main dishes so you can be sure that you won’t binge-eat on heavier meals when at a restaurant. Talk to the server or the cook before ordering and ask them if you can have some of the ingredients replaced. For example, you can ask them to replace the fries or potatoes with a vegetable salad. Certain vegetables such as broccoli and spinach are great choices for alternative vegetables, as they are incredibly low in calories yet very filling to the stomach. Don’t be embarrassed to ask the server or cook about this, as they would most likely be willing to help you with this query. Also, you have the right to ask, so just go ahead and do so! Opt for restaurants that have healthier options when it comes to eating out. 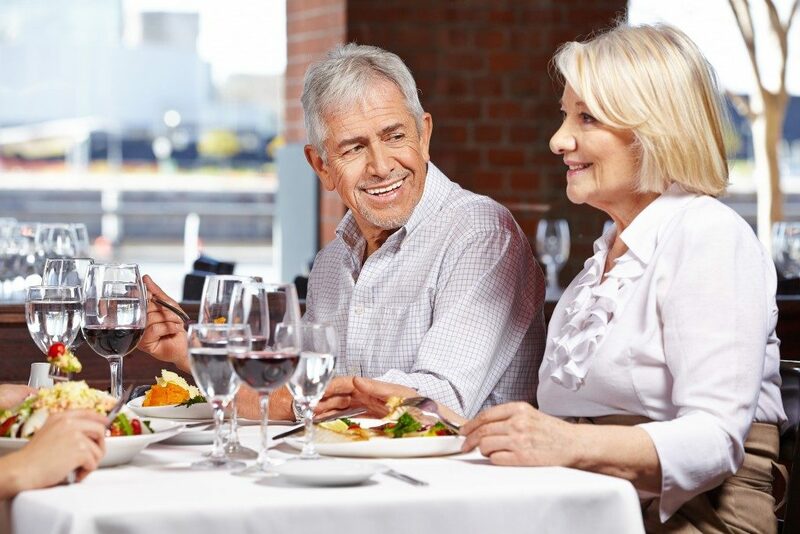 If it would not be an issue to your friends or family, ten ask then if you can eat at a restaurant with more options, especially if you are a vegetarian or your food intake is limited. Make the healthier choice today and see your body improve for the better!